Now, for this, Roosevelt was called a radical. He was called a socialist -- (laughter) -- even a communist." Does the word 'why?' pop into anyone else's mind but mine? Especially given the excuses that are usually shot back at any hint of someone being called a communist or a socialist - you know, McCarthyism! Reactionary! Racist! - whatever could have been their motivation here? This was, after all, a half century before Joe McCarthy… did conservatives knees really jerk before the eevile Joe McCarthy terrorized the nation? Before Stalin? Before even the USSR? Why? Sorry if that got your curiosity up, I'm afraid that President Obama didn’t get into WHY they had said that about TR (surprise!) or why he thought they were silly to name him such, it’s enough, I guess, for the habitual smearer to sneer and move on, neatly avoiding contact with any real substance that might be lurking in the issue - that or it just didn't make it onto his teleprompter screen. Hard to tell which. But there were reasons, very good reasons, for characterizing TR, and Obama, in that way, and those reasons hold as true today, as they did yesterday and yesteryear, and really it boils down to the proregressive's inherent antagonism towards key fundamentals of Americanism which Nationalist's have no choice but to oppose... but let's leave that for later. It's enough, for now, to just observe the contradictions, misdirections, lies, inherent in promoting this new 'New Nationalism', and they are off the charts. It took me quite a while to get through this speech, I wasn't able to manage more than a page at a time before a knot of raging disgust welled up inside and I needed to get up and flush it from my mind. But even so, I've been able to glean a few points that I think are important to highlight... so... I'll try to quell the anger and nausea, and will see if I can get the point across without too much of my disgust spilling out into the html. Too much. On the practical side, President Obama does seem to have learned a thing or two from his Regulatory Czar, Cass Sunstein, which is especially appropriate, given that this speech is on the signature speech of the father of the American Regulatory State, Theodore Roosevelt. The degree to which he skillfully splices together lies and facts with a fine weld of sympathetic misdirection for solder is really remarkable; and there are multiple instances where he comes out and says one thing, and then takes it back by saying its opposite shortly thereafter... it's stunning. For instance, look at these two paragraphs where he begins with a very Luddite-ish moaning about the job killing nastiness of modern technology and the nastiness of the business cycle... and then just a bit further on, he takes that back with how he of course has no intention of complaining about modern technology or the business cycle! I could churn out 5,000 words on just these two paragraphs alone... especially the last part of the second paragraph... but as much as I'm sure your just itching to torture your eyes with that... I'll try and keep my keyboards Niagara Falls to a trickling faucet. I said try. The President has made these comments about those dastardly ATM's giving people access to ATM's at all hours of the day and night... what is that about? Does he really think they left bank tellers forever out in the cold? They moved on to other jobs Barack! And with people having readier, 24hr access to their money, productivity and sales were boosted, jobs were created - how can he say these things without deep embarrassment? How can the snooty-tooty New York Times not call him on that?! And on top of that he's lamenting about 'Madge' the AT&T Telephone operator whose technological replacement gave you the ability to make direct telephone connections across town and across the country, without having to ask an operator to connect you... that isn't something to lament! 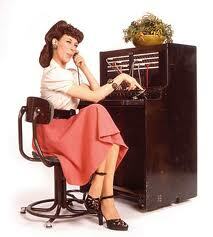 While 'One ringy dingy... two ringy dingy..." might have been a good gag, I mean, come one, what is this rubbish about? Just what sort of fears is he trying to stir up here? And the poor Travel Agent who was kicked into poverty by your being able to find better and less expensive travel packages online, yourself? Those who could find no other way to make their services useful to you, were released from that unproductive position, you wasted less time having to wheel and deal with them, you had more money available to spend and invest elsewhere... wealth and prosperity was created and spread, not lost! Oh the horrors. Mr. President, if the 21st century is too much for you, at least get with the 20th! When people hear this, doesn't some part of their mind wonder what ever happened to the legions of blacksmiths who were displaced by the automobile? Or the candle makers who lost lost their jobs, and their manufacturers closed their door when the electric light bulb was introduced to the market? Have you asked yourself, was society really poorer as a result of their introduction? Does anyone, even bank tellers, really miss having to rush to the bank between 9:00 and 5:00 Mon-Fri in order to have money for the evening or weekend? Does anyone really miss having to ask an operator to connect them to a phone number across the state or nation? Does anyone really miss being able to turn the light on, or off, with a wave of the hand, rather than striking a match to light a candle... or stooping to blow one out, and making sure it actually goes out so your house doesn't burn down? Isn't the truth of the matter more that while some few people had to find new ways of earning a living, millions of other people (and they themselves indirectly) benefited from these technological advances? Doesn't everyone implicitly realize that these advances have contributed enormously to making us a wealthier nation? A wealthier world? Don't you then wonder to yourself "Just what in the heck is President Obama trying to accomplish by raising such silly issues? Repeatedly? But... with the trickling faucet, rather than Niagara Falls, in mind, this post can't be about proregressive's economic ignorance and hidebound inability to see what is seen, and what is not seen. The real issue goes much further and deeper than Obama's Luddite streak. "Factories where people thought they would retire suddenly picked up and went overseas, where workers were cheaper." Seriously? 'Suddenly picked up'? Really? The American worker is famously more productive than any other nations worker's, still to this day,... and in comparison to some locations, are several times more productive; add to that the cash consuming difficulties of language, infrastructure, int'l laws, shipping... expectations of bribery and plain ol' criminal activities... just where is it that these companies are supposedly going to reap their supposedly vast, greed-worthy savings, from hiring cheap labor? These workers would nearly have to be paying the companies twice over in order to make it an economic benefit to move overseas on the basis of cheap wages alone. So there is something going on here, something more than simply going to where 'workers were cheaper' that makes the move overseas into a profitable and practical decision to make. What else do you suppose might have contributed to factories having 'suddenly picked up' and moved overseas? Well... what was it that Obama says he is most proud of Teddy Roosevelt and America for? "... an eight-hour work day and a minimum wage for women -- (applause) -- insurance for the unemployed and for the elderly, and those with disabilities; political reform and a progressive income tax." Those are some of the ideas and realities which Theodore Roosevelt helped to bring to America, but before you get carried away with rapture over the 8hr work day, try and remember that he brought more than that to our shores, he, more than anyone else, brought us the intrusive Regulatory Agencies, beginning with what became the FDA, and then rapidly metastasizing into the likes of the FTC, FLRA, ED, SEC, EPA, OSHA, EEOC, DOL, DOE, DOT, DOI, HUD, HHS, USDA, and of course everyone's favorites, the FED and the IRS... and hundreds more at the Federal and State level. Every single one of these agencies has thousands of pages of regulations and requirements which must be filed, approved, jumped through hoops for, resubmitted, updated... and worst of all met... even though they often contradict each other in what they require of a business. The administrative time, effort and cost of just meeting the regulations, to say nothing of what the regulations require businesses to construct, install, maintain, etc, the amount of wasted wealth is astronomical. And do you know what locations such as Mexico & China do not have? Comparatively little or none of that. That is what makes it worthwhile to close down the factory here, the factory where management would otherwise have been easily able to oversee and keep first hand eyes on their operations, to leave behind them the homes where their own family and friends are, and ship it all over seas. ... dontcha think that maybe his own Jobs Czar could tell the president why factories are picking up and moving overseas? If he cared? If? Add to that the federal requirements that businesses appease unions, provide unsustainable pensions, meet minimum wages (based on nothing more than a politicians finger in the air guess at what will please the most inattentive of voters, and which reduces available jobs for teens, unskilled immigrants, minorities, etc), and of course the crown jewel, the Progressive Income Tax, and you have an engraved invitation for businesses to leave our shores for friendlier ones. 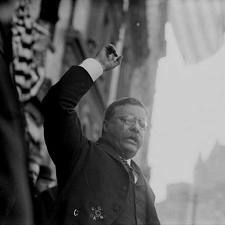 "Now, for this, Roosevelt was called a radical. He was called a socialist -- (laughter) -- even a communist. But today, we are a richer nation and a stronger democracy because of what he fought for"
"A heavy progressive or graduated income tax"
"Free education for all children in public schools." And no, of course I don't have a problem with all children becoming educated - believe me, that Is My Focus! - but that isn't what Marx wanted either, the reason why Marx wanted it, was for the State to do the educating, because he knew that if the state can control what children are taught... those children are going to grow up with some very state friendly thoughts in their heads, or at the very least they're going to come away from such a school with an inability to think too clearly about anything else. "Abolition of property in land and application of all rents of land to public purposes." "Extension of factories and instruments of production owned by the State"
, these and the other items in Marx's Top Ten Hit Parade, have already been effectively accomplished, or very nearly so, via regulatory agencies. Remember, the goal of communism is for the State to control all of the means of production - if the State controls what decisions can, and cannot, be made... then the State does control the means of production, in terms of what really matters. That is why the people of 1910 were calling Teddy Roosevelt a communist and a socialist and a thug... and the realization of what this new nationalism held out to the would-be tyrant, would prove to be formative stuff for some scruffy community organizers around the world who would soon come to the fore in the 1920's and 1930's in Italy and Germany. Is there some reason why I should hesitate in seeing Barrack Obama in that same light? These newspapermen were people who still had knowledge of the founding of America, some even had grandparents who knew people of the Founder's Era, they saw the stark contrast and contradictions between the ideas America were founded upon, and what Teddy Roosevelt's 'New Nationalism' signified. "William J. Barnes, Jr., the New York Republican committeeman against whom Roosevelt was contesting for leadership in the Empire state, announced that the speech "had startled all thoughtful men and impressed them with the frightful danger which lies in his political ascendancy." "The next day newspaper editors across the country reacted to the speech, while in the following weeks the mails were crammed with letters recording various sentiments about the Osawatomie address. The ideologically conservative New York Evening Post branded Roosevelt a "self-seeking, hypocritical, braggart," while its sister journal, the Sun, reported that "the third greatest crisis in the history of the nation has arrived, and warned every honest and patriotic citizen to prepare himself against this new Napoleon who deemed it his mission…to overthrow and destroy in the name of public opinion and…personal advancement." The New York Tribune called the speech "frankly socialistic...""
"The Kansas City Star, Chicago Daily Tribune, Topeka Daily Capital, and a host of lesser progressive journals agreed that Roosevelt had left no doubt about where he stood. "T.R. 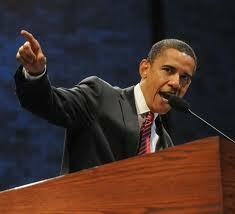 has become a progressive Republican,"
He is correct about this much, that 'This is the defining issue of our time. ', the claim that it is progress to give up 'primitive freedoms', in favor of guaranteed privileges (to be doled out by bureaucrats), that it is progress to give up the risk of making your own decisions, in favor of the assured regularity of receiving known handouts, to not only settle, but to never even strive, not even once, for a distant goal worth accomplishing... in favor of a prepared place for you, for your child, in the 'middle class'. President Obama is today praising Teddy Roosevelt. That Newt Gingrich, like John McCain before him, admire Teddy Roosevelt. That you might soon have to choose between Barack Obama or Newt Gingrich, in order to save us from proregressivism. Freedom of choice... ain't it grand? As I said, there were reasons, very good reasons for characterizing TR, and Obama, as communistic and socialistic, and those reasons hold as true today, as they did yesterday and yesteryear, and a significant part of it boils down to their presumption that the Govt should have the power to take precedence over your choices, over your Individual Rights, in order to do what it thinks is right for you. The proregressive, whether of the left or right, has a fundamental antaganism to the Principle of Individual Rights. Our legislators are not sufficiently apprized of the rightful limits of their powers: that their true office is to declare and enforce only our natural rights and duties, and to take none of them from us. No man has a natural right to commit aggression on the equal rights of another; and this is all from which the laws ought to restrain him: every man is under the natural duty of contributing to the necessities of the society; and this is all the laws should enforce on him: and, no man having a natural right to be the judge between himself and another, it is his natural duty to submit to the umpirage of an impartial third. When the laws have declared and enforced all this, they have fulfilled their functions, and the idea is quite unfounded, that on entering into society we give up any natural right. The trial of every law by one of these texts, would lessen much the labors of our legislators, and lighten equally our municipal codes. TR and Obama both attempt to sound reluctant to have to exert Govt power, but that 'Gosh Darn it! Somebody's got to stand up for the little guy, and against the BIG moneyed interests!' But the funny thing is, the more they 'stand up for the little guy', the more power and wealth the politically well connected seem to accumulate. Ironic, eh? Well... no, not really, and when you come right down to it, the only protection the little guy truly has, as Jefferson alludes to above, is that of the Law, a law that is applied fairly, impartially, to all, regardless of their station in life. And that is something that cannot be maintained in a regulatory state. Cannot. Regulatory law has to fundamentally assume that some people are prone to violating the rights of others and so must be presumed guilty, or it must presume to favor those the regulators must rely upon for their positions. What do I mean by that? "The Commission . . . is, or can be made, of great use to the railroads. It satisfies the popular clamor for a government supervision of the railroads, at the same time that that supervision is almost entirely nominal. Further, the older such a commission gets to be, the more inclined it will be found to take the business and railroad view of things. . . . The part of wisdom is not to destroy the Commission, but to utilize it." IOW, the regulatory agencies found that if the railroads played ball with them, they could make each other's lives easier. Regulatory agencies have always, from the very beginning, been about making it possible for those in power to do things their way, and those who were rich enough and powerful enough to be of use and play ball, could benefit from their power to control others. "...In virtually all the codes we have examined, one condition has been present... In industry after industry, the larger units, sometimes through the agency of a trade association, sometimes by other means, have for their own advantage written the codes, and then, in effect and for their own advantage, assumed the administration of the code they have framed...."
Regulatory Law, is about gathering, controlling and exerting, power. Nothing more. And certainly it is not doing what it does for the benefit of the 'little guy'. What position did, and does, the little guy have in that machinery of the regulatory state? For all their rhetoric about equality, the one area where their 'fairness' means unfairness, is the one area where the original understanding of American thought was most essential - equality before the law, without regard for race, class or wealth - and that doesn't mean equality for the person of modest means and less than equal status for the person of mucho means - or vice versa - it means, and must mean, equality before the law for all, regardless of their means. Lose that... and you lose Justice, and then all is lost. Read the quote by Jefferson above and to the right - compare it to the snippets by Obama to the left - can you conceive of those sentiments co-existing in a legislative and judicial system? In a single person's heart and mind? 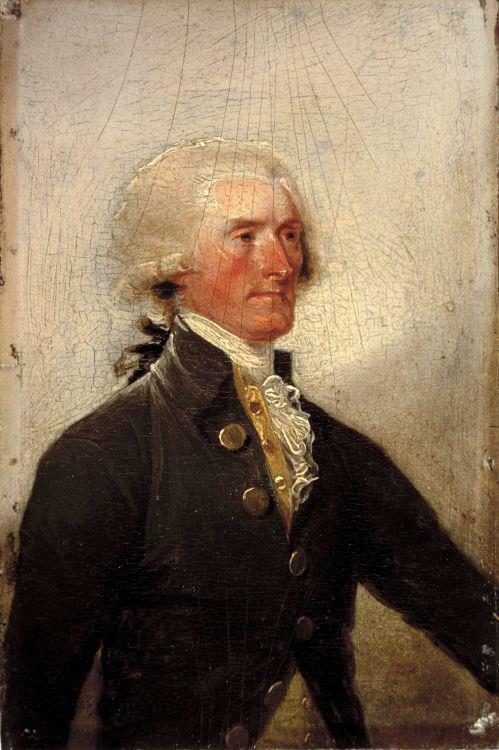 "Our legislators are not sufficiently apprized of the rightful limits of their powers: that their true office is to declare and enforce only our natural rights and duties, and to take none of them from us." The Proregressive cannot exist without disregarding the natural rights of other men, to be a proregressive, is to be opposed to the fundamental ideals of Americanism - proregressivism requires favoritism, it can’t even pretend anything less... just as ‘the 99%’ - and I pity the po' fool who tries to tell himself he can be both. Part of the hostility that the proregressive mind has for the Free Market, which they derogatorily call ‘Capitalism’, and which the Capitalists cluelessly go along with referring to themselves as (rather than as members of the Free Market, which is what they are), is that the Free Market has no place for them, the Free Market is not a system, it has no System and it has no place for people to guide, correct or control it. The Free Market is made up of people who are free to make their own choices about their own lives and their own activities, free to take their own risks, support their own causes and charities, and there is no place in the Free Market for those who would seek after power over their fellow man, no place for those who would like to ‘force them to be free’ in a manner that they approve of (as the grand daddy of proregressivism, Rousseau, put it). And that is the heart’s desire of the proregressive leftist – the desire to remake your life in a way that they think is smarter, and more pleasing to them. In their minds, you have no place in your own life, or at the very least they do not see you in the driver's seat, you take a back seat to their need to make your choices for you, they do not see you as having a right to choose your own way if it in any way conflicts with their preferences for you, because they know full and well that their way is better, more efficient for you. It's for your own good. For the greater good. Really. In the Proregressive's view of the world, you have no place in your own life. We even have many on the ‘right’, even in the Tea Party, who unknowingly take the same position, that BIG is bad, that big moneyed interests should be prevented from using their free speech as they see fit, that they should take a knee to those lesser funded folk, ‘little people’, who have different opinions - why should the little guy's opinion prevail over the big people's opinion? Because they want it to and because they feel it would be best. Sauron's Ring always looks attractive to those who see themselves as being able to wield it to do good. The charge of elitism, though often true, is a very misleading guide to locating proregressives, look instead for those, rich or poor, who feel that - for whatever reason - they know better than another, how others should be made to live their own lives. What all of these people should wake up and realize, quickly, is that both of these groups of ‘defenders’, if successful, will destroy the only defense which anyone has against the rich and powerful – the principle of property rights and the principle of free speech. As soon as it becomes ‘law’ that those in power can violate these sacred principles ‘for the greater good’, then it is only a matter of time before the rich and powerful figure out how to spin their intentions into sounding as if it is they who best support the ‘greater good’ – ask Wickard vs Filburn, ask Kelo, ask Gibson Guitar. The only, ONLY, defense that the little guy has against the rich and powerful, is principle, and as soon as it is chipped away at enough, it is gone – the rich and powerful will sweep you aside like dirt in what they see as being the better path, the choices that you should make, would make, if you were as informed and smart as they, they are in fact doing you a kindness by, as Rousseau put it, going out of their own way in order to, for the greater good you understand, ‘force you to be free’. If you don’t see that simple truth in the winning smile of Barrack Obama… you know longer have I’s to see. What meal does that recipe cook up? The gathering idea of Nationalism which Teddy Roosevelt championed, was developed further by others around the world, and by the 1920's and 1930's, it took on very disturbing and world shaking form in Europe in particular. But even without those extremes, it can only lead to pretexts for exerting power to further the interests of those in power - especially at the expense of 'the little guy'. Keep in mind, that whatever it is that these hucksters tell you they are cooking up for your benefit, it always comes down to decay, destruction and disaster in the end - ladies and gentlemen... look at Detroit! "For the first time in history, the reforms that we passed put in place a consumer watchdog who is charged with protecting everyday Americans from being taken advantage of by mortgage lenders or payday lenders or debt collectors. " , is the same person who, knowing full well that the legislation, which he championed as a community organizer, which he took an active part in bullying banks (yeah, bullying banks - remember, 'Elite' can lead you into a dangerous false comfort, look for those who are seeking power over others - that is where you find proregressives) into disregarding their time tested debt to ratio calculations when determining whether someone could afford a loan, and instead lenders were forced, by govt, to allow, encourage, and cajoled into seeking a loan which long experience showed the lenders that the applicants were likely to fail, and mandate that they give them a loan. The action, which will begin as a pilot program involving 24 banks in 15 markets -- including the New York metropolitan region -- will encourage those banks to extend home mortgages to individuals whose credit is generally not good enough to qualify for conventional loans. Fannie Mae officials say they hope to make it a nationwide program by next spring. " The ultimate result of this insanity, and quite a bit more, was the sub prime mortgage crisis, and yet Obama, Dodd, Frank, Schummer, Clinton, have the unmitigated gall to talk about taking advantage of people! It is they, and their socialistic, proregressive cronies, who want to abolish property rights in order to control all property; it is they who not only took advantage of people, but put their economic lives, and the well being of the entire nation, even the world as it turns out, at risk, in order to promote their proregressive agenda. This man, and all like him, left or right, elitist or populist, are liars. Dissemblers. A person who is quite happy to go about deliberately misleading people, and twisting well known history, in order to score political points... is doing it for a reason... do you really think you are going to benefit from it? What it comes down to, as President Obama said, is a choice between Nationalism... or Americanism - which will you choose? For those unfortunate enough to start reading this Wed afternoon - sorry about that. I accidentally clicked publish when trying to print a rough draft, and didn't discover it till later in the evening. The egg... drips down the face... sooo slowly. Thanks again Van for the history lesson. I get your point that regulatory agencies allow the powerful to strengthen their positions through coercion from the govt. You do agree that there are good regulations that protect individuals from those who may intentionally or unintentionally harm them for economic gain. It isn't hard to come up with examples. Lead in gasoline, unscrubbed coal emissions. I absolutely agree that the regs have gone overboard. But, where do we draw the line? Hypothetically speaking, how many additional cancer deaths do we allow in order to let a chemical plant increase emissions to become internationally competitive? Unfortunately, just about any scientific study to address such an issue would be biased. Well John,private solutions have always been an alternative to big government, and more successful. Free markets come to mind...without government intervention on its part as well! John, I haven't forgotten your question, but time's been short lately. Eventually I'll get to a post or two on just those points, but for the moment I'll have to settle for directing you back to one of my earlier posts on regulations, and in particular to the comment section where Sal asked a similar question to yours. Hope that helps for the moment. Happy 220th Bill of Rights Birthday!